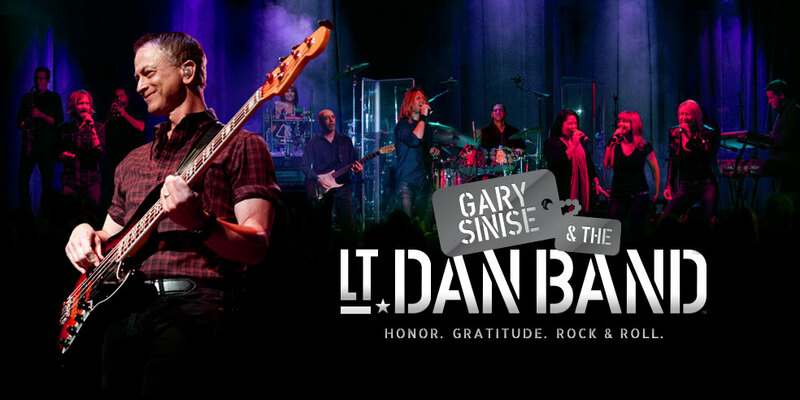 Last week, the U.S. Military Academy honored Gary Sinise -- the actor who brought Lt. Dan Taylor to life in “Forrest Gump” and the bass player who has brought the Lt. Dan Band to both far-flung and down-home locales to entertain the troops and their families. The award is named for a former West Point superintendent and is given to citizens who serve the national interest. West Point cited Sinise's decades of advocacy for service members, including his work for the Disabled American Veterans organization. Sinise also performs for troops as part of the Lt. Dan Band, named for the hard-nosed officer who befriends Forrest Gump. The West Point Assn. of Graduates has presented the annual award -- currently the highest honor it can bestow on a non-graduate -- since 1958. Past recipients have included Bob Hope, Neil Armstrong, Walter Cronkite, Supreme Court Justice Sandra Day O'Connor and presidents Ronald Reagan, George Bush and Dwight Eisenhower. In June, when the association announced that it would honor Sinise, he said he was humbled and thankful. “I hope that this recognition only helps to further shine a light on the continuing mission of supporting those who serve and defend our great country,” he said. His support for veterans began in the early 1980s with the creation of Vets Nights, which offered free dinners and performances for Vietnam veterans at the Steppenwolf Theater. In the 1990s, he began working with Disabled American Veterans. Since September 11, 2001, he has become one of the more visible celebrity supporters of military service members. He founded the Lt. Dan Band in 2004 after participating in several USO tours. It now performs almost 50 shows a year at military bases, charity events and fundraisers supporting wounded warriors, Gold Star families, veterans and U.S. troops. In 2011, he established the Gary Sinise Foundation to honor those who serve and their families through programs designed to entertain, educate, inspire, strengthen and build communities. Among the foundation’s many programs is its R.I.S.E effort, which provides home modifications, adapted vehicles and wheelchairs or trackchairs for wounded veterans. The co-founder of the Tony award-winning Steppenwolf Theatre Company in Chicago in 1974, Sinise has won an Emmy, an Obie and a Golden Globe Award, and has been nominated for both an Academy Award and a Palme d'Or. He has starred alongside Tom Hanks in Forrest Gump, Apollo 13 and The Green Mile. From 2004 to 2013, he starred as Detective Mac Taylor in “CSI: New York” and currently leads the cast of the new CBS drama "Criminal Minds: Beyond Borders". He also narrated Army and Army Reserve “Army Strong” recruitment ads in 2008 and was the executive producer of the 2009 Iraq War documentary “Brothers at War” along with David Scantling. In light of his work both onscreen and off, Retired Army Lt. Gen. Larry R. Jordan (class of 1968), board chairman of the West Point Assn. of Graduates, said the association was proud to honor Sinise. 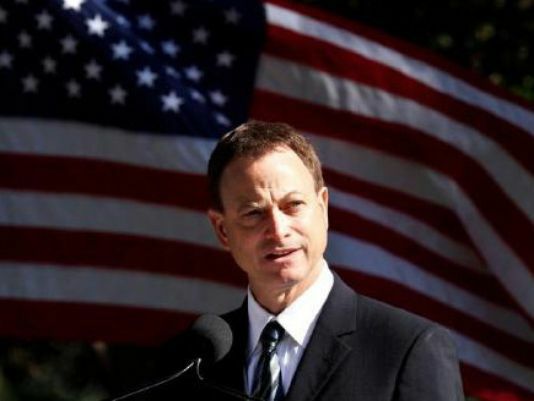 We at VME thank Gary Sinise for his embodiment of these values and salute him for his work on behalf of America’s veterans.